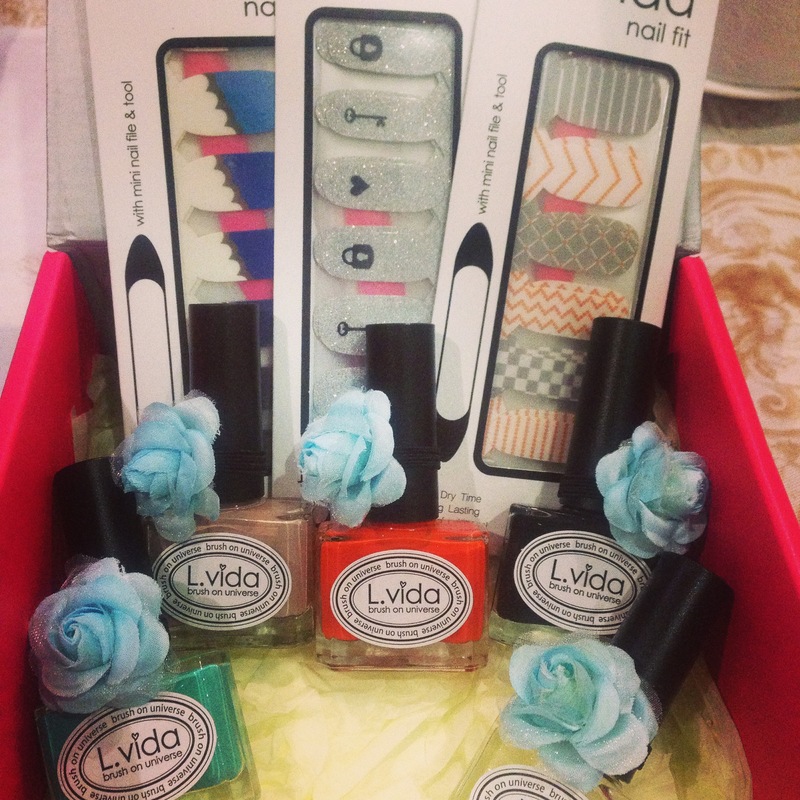 3 L.Vida Nail Fit 16 piece nail transfer. 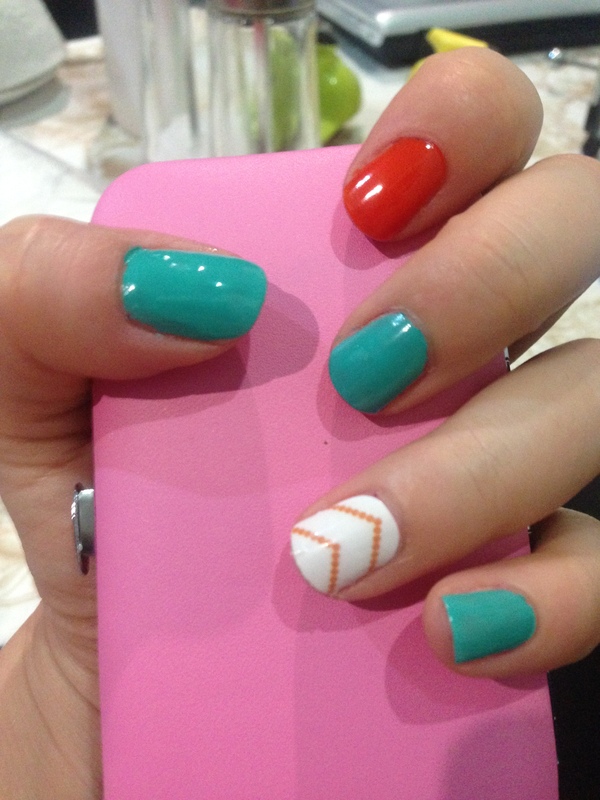 Patterns included are Blue Clouds, Glittered silver base nails with black symbols and orange and grey lined combo. I have already used this brand once before so I was pretty happy to get more of a selection knowing that the colour would last well over a week. I immediately tried two of the colours, the glossy top coat and a nail wrap! The colours I used where the Aqua Green and the Neon Orange also the Multiple Line Nail Fit perfect for an end of summer look. As you can see the glossy top coat finished off the nails perfectly, they actually look like gel based!